Last night, I was tinkering around Trader Joe’s per usual, and something whispered to me: “buy that Manuka honey.” I rarely use honey in my cooking, never add it to my tea, and don’t have much of a sweet tooth in general. However, I have a basic understanding that Manuka honey has some noteworthy healing properties, so I followed that voice, and dropped it in my cart. 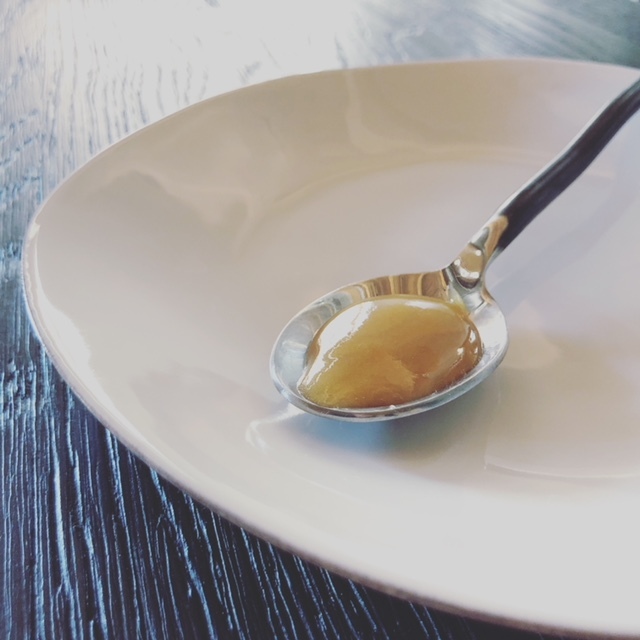 I did a some quick research and found that Manuka can have a pretty profound effect on various kinds of stomach and intestinal distress. If you’re looking for an efficient rundown, check out this helpful article via Dr. Axe. One tablespoon stirred in piping hot water + a slow sip = RELIEF. Within 20 minutes of finishing that medicinal mug, the pain was gone. The fire was extinguished. Consider me a Manuka fan for life. I am so floored, here I am writing about it on my lunch break. And that is saying a lot, because I haven’t shared a blog post in over a year. I recently started some new projects, took a deep dive into grad school, and am enjoying every moment with minimal documentation.